Download the PDF version of this chapter. It’s one thing to plot people and organizations in an idealized network structure. The real challenge is developing a supportive infrastructure strong enough to guide that network forward, yet flexible enough to get out of the way and let the network members take the lead. The Remake Learning Network operates several programs and services to support innovative people and organizations in the greater Pittsburgh region. Within each action area, this chapter explains the theory of change that connects our activities to our outcomes, describes how the strategies have evolved over time, and provides starter ideas for implementing these techniques in your community. These strategies can be executed in whatever order makes sense for you. They are presented in the general order in which they were established in Pittsburgh, beginning with the earliest activities to support a nascent network and concluding with more advanced activities to formalize and sustain a maturing network. As you read each section, you’ll find more details about how, when, and where we applied each strategy to achieve specific goals. Bring together a diverse cross-section of your community, organize them around a shared vision, and keep them engaged with ongoing opportunities to grow professionally and participate in the creation of communities of practice. Building a collaborative network begins with bringing people together. You can deploy several strategies to convene relevant people and organizations. Ongoing events enhance the individual and collective capacities of network members, as well as create opportunities to import knowledge and expertise from outside the network. Activities can take a variety of forms — from face-to-face in-person meetings to virtual exchanges taking place online — and can range in terms of size, duration, and formality. Match the structure of the event to the goal of the convening. We’ve found that regular meet-ups help peers develop a shared agenda for their field, while occasional larger gatherings of the entire network create a sense of cohesion and momentum among a diverse constituency that may otherwise have no other means of connection. In the short-term, convening strategies enable you to recruit interested people and organizations to join the network, improve internal communication and coordination, and share relevant information and resources across organizational boundaries. Among network members, convening strategies create an environment in which individual educators, innovators, and practitioners are better informed and equipped to pursue opportunities, confront challenges, and engage in collaboration. The goal is to further seed the ground and spur innovative learning projects and programs. In Pittsburgh, these strategies have been essential to building the field of professionals who feel connected and empowered to do more because of their participation in the network. Host Network-Wide Events: Invite all network members to gather for important events where members can establish relationships, focus their attention on issues and opportunities of critical importance, collaborate directly in facilitated discussions, reflect on past accomplishments, and look ahead to potential future opportunities. Offer Ongoing Networking Opportunities: Host open and informal meetings for small groups of network members with shared interests to provide ongoing opportunities for network members to meet, share, and collaborate, whether in face-to-face meetups or through online webinars and hangouts. Emphasize Professional Development: Offer professional development sessions and continuing education credits to educators and other professionals seeking to incorporate new teaching methods into their practice, or partner with established professional development agencies to offer credit at network events so that more educators find valuable professional opportunities through the network. Empower network members to put their ideas into action. Provide financial and other support for new initiatives and programs that directly impact children and youth, and create proof points for why learning innovation matters. High-quality learning innovations aren’t free, but they don’t always require a massive influx of money either. 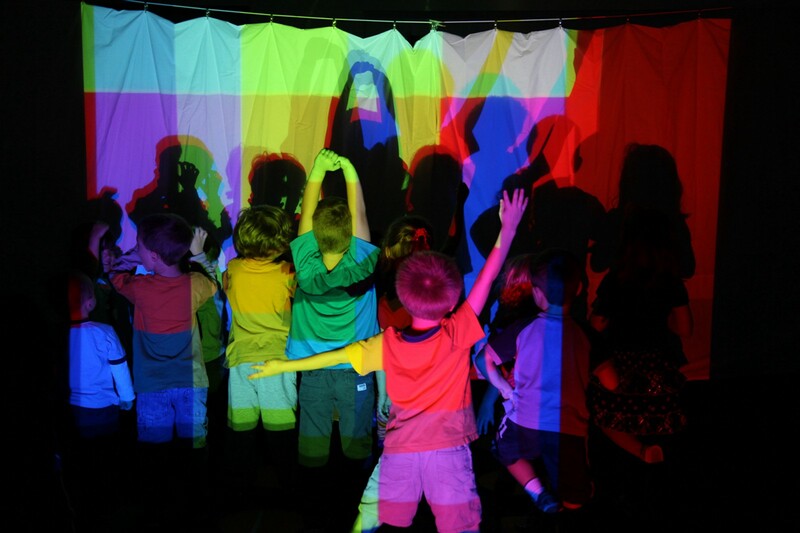 Collaborative projects led by enterprising teachers, technologists, researchers, and community partners can be catalyzed through small-scale funding opportunities ranging from $5,000 to $25,000. Offering regular, ongoing funding opportunities open to a diverse range of people and institutions makes the network more open and approachable. It’s equally important to stay responsive to the real needs and priorities of local communities. Design a variety of funding mechanisms that appeal to specific constituencies but insist that active cross-sector collaboration be built into all of them. 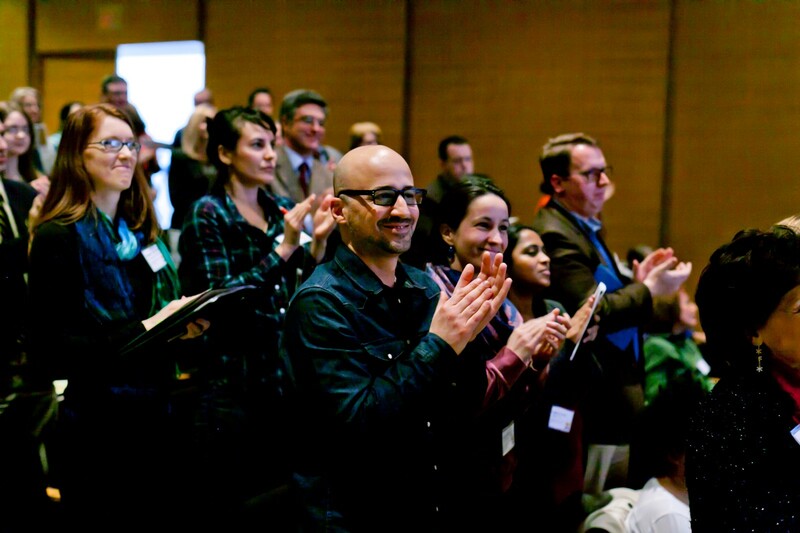 Research fellowships for emerging scholars and program managers build the brain trust of the network, while startup competitions encourage new education technology firms to work directly with educators and students. We’ve discovered that occasional Requests for Proposal (RFPs) can focus members’ attention on issues of critical importance or strategic priorities. In Pittsburgh, we’ve issued RFPs to solicit innovative solutions from the network on topics ranging from play-based learning and summer learning loss prevention to STEAM classrooms and digital badges. In addition to direct funding, offering non-financial support for projects and companies, such as shared workspaces, leadership development workshops, and mentoring relationships with established innovators have enabled us to leverage small investments into widespread impact. Whatever form it takes, catalytic support seeds new ideas with early-stage funding so that network members can quickly turn ideas into action. Over time, successful small-scale projects act as “proofs of concept” that inspire others inside and outside the network to develop their own innovative approaches to teaching and learning. Provide Mini Grants: Offer small-scale funding awards to catalyze new and innovative learning projects both in-school and out-of-school so that network members have the support necessary to put their ideas into action. Encourage proposals for pilot programs, design partnerships, and product prototypes that educators and students can use to explore new ways of teaching and learning. Incubate Ed-Tech Ventures: Establish new or support existing start-up incubators where local entrepreneurs can develop emerging education technology companies. 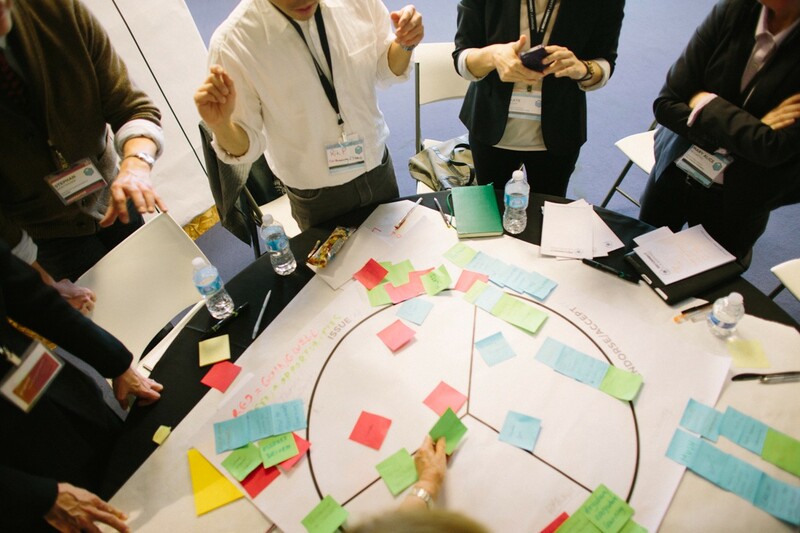 Connect these ventures with educators and researchers in the network to co-design, playtest, and evaluate new education technology products. Support Project Leaders: Provide value-added services to support the professional and leadership development of network members by connecting them with experienced mentors, equipping them with toolkits and guides, and partnering unincorporated groups with fiscal sponsors. Amplify the voice of network members by documenting success, sharing stories, and joining the global conversation about learning innovation. Networks rely on effective communications and the productive exchange of information to keep all members informed and engaged. By making use of blogs, social media, e-mail marketing services, web forums, and digital publishing, as well as traditional forms of advertising and marketing, you can communicate about the resources and opportunities available to network members. Create a recognizable identity for the network in the minds of its members and of outside observers. Naming the network, establishing a visual brand that can be shared by all members, and cultivating an authentic voice that can speak on behalf of the whole network are important early steps. Establish a “home base” for the network on the web and create a single destination for listing network members and organizations, collecting and sharing resources, and keeping members informed of upcoming events via a calendar. In Pittsburgh, remakelearning.org has become a one-stop shop for anyone interested in getting involved in the network. Our colleagues in New York and Chicago use Minigroup to enable direct peer-to-peer connections among Hive Learning Network members. The network itself can be a clearinghouse for news, editorials, information, and interpretation through blog posts, newsletters, and publications. You might not have many local stories to share at the start; consider syndicating posts from trusted news sources like KQED Mind/Shift or tweets from national thought leaders at the DML Research Hub. Establishing regular, robust communications methods for the network enhances the ability of members to engage and collaborate with one another and national peers. Beyond speaking directly to network members, you can implement communications strategies that raise greater awareness among local audiences and stakeholders outside of the network. We’ve found that photo, video, audio, and written documentation is the best way to tell the story of the network, its members, and the innovative learning initiatives they lead. These multimedia assets are invaluable when you later develop a public relations strategy and start pitching stories to attract media attention. Create a Network Directory: Create a digital directory that collects the basic information and contact details for the people, projects, and organizations that make up the network. Members will begin to see themselves as part of a larger whole and use the directory to find one another, access available resources and support services, and browse upcoming events and opportunities to engage. Document Local Innovation: Commission writers, photographers, videographers, and designers to produce original stories and images that capture the network in action, shine a spotlight on network success stories, and amplify the voice of individual network members. Amplify Youth Voice: Invite young people to contribute authentic stories and personal reflections on their learning experiences in your community. 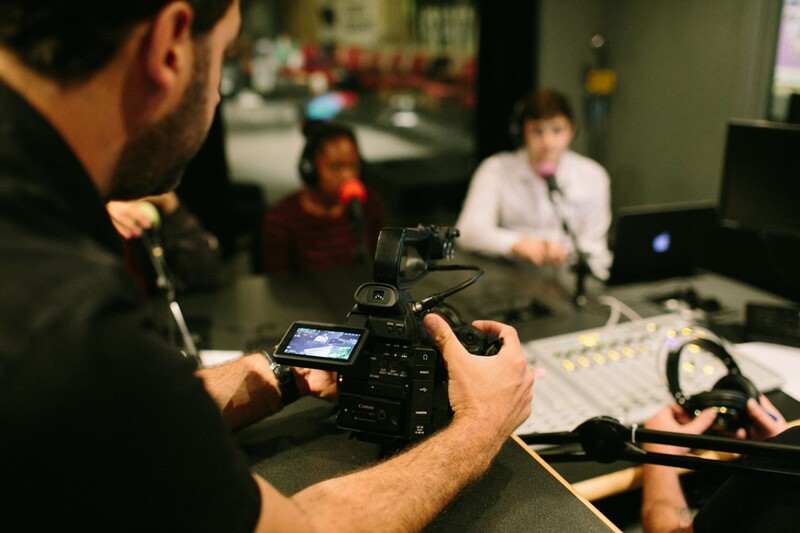 Create a public channel for sharing the voices of youth with network members themselves, as well as other audiences. Establish a structure for the network that enables individual members to do what they do best, while also collaborating across sectors and sharing resources effectively. By organizing advisory groups, setting the strategic agenda, and prioritizing measurement and evaluation, you can coordinate the evolution of the network from informal and ad hoc beginnings to a more robust and sustainable future. Coordination with other organizations operating outside of the network is also critical to the long-term health of the network. External partners become increasingly important as a network grows in scale and complexity. The network will begin to represent the learning leadership in your community when you connect with stakeholders, funders, partners, and policy makers. These national and international relationships may also attract additional investment for the network as a whole or for individual network members. Be strategic about roles. Individual member organizations have to focus on their mission, whether that’s running a museum, educating students in school, or growing a successful business. Intermediary organizations — those whose mission it is to provide support (financial or otherwise) to front-line organizations — are well-positioned to coordinate activities and delivering support services to network members. Professional associations, business councils, government agencies, and community nonprofits all play a role in network coordination. Establishing a guiding vision and setting a strategy to achieve that vision is critical. As much as possible, all network members should have a meaningful role in the development of a strategic vision and setting shared long-term goals. In Pittsburgh, we’ve used annual surveys as an effective and affordable mechanism for gathering input and feedback on the progress being made by the network from the point of view of the members themselves. Try to gather evidence of the network’s impact at each stage of its evolution and through each of its activities. Understanding the impact of the network is having on children and youth in your region, as well as the educators and innovators who participate in network activities, is critical to securing sustainable local funding and competitive national grant opportunities. Strategize: Set an agenda for the network and establish a shared vision, common values, and long term goals by forming advisory groups of key stakeholders, surveying network members, and seating leadership councils representing influential members of the community. Gather Evidence: Partner with researchers to establish mechanisms for understanding and evaluating the impact of the network on its members and on the children, youth, and families it serves in order to gather evidence and data to make a stronger case for support. Establish National Partnerships: Reach out to organizations leading change on the national level and seek opportunities to partner with them to implement localized programming that helps connect your community with the extensive resources available through national and international networks. Lift up the best of the network and celebrate the educators, innovators, and young people who contribute to and benefit from network activities. As your network grows, you’ll need to build widespread public awareness of how learning innovation can positively affect children and youth. By shining a spotlight on network members at public events and in the media, you can champion the impact of the network and highlight the accomplishments of young people who have participated in network programming. From art fairs and music festivals to holiday parades and heritage days, every community has its own slate of highly anticipated annual events that attract large numbers of children, youth, and families. These events are perfect opportunities to showcase the fun and engaging learning experiences offered by network members through interactive hands-on exhibits and learning pop-ups. 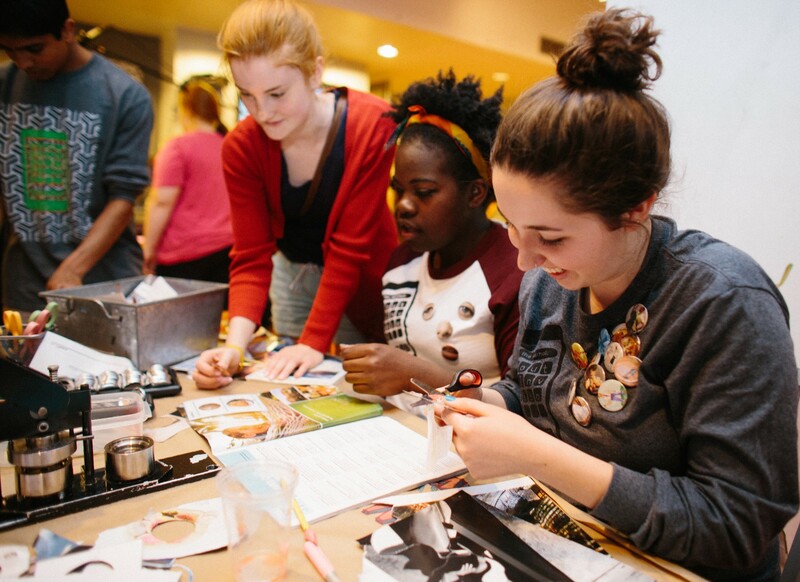 You can also create a new must-attend activity by hosting signature events like Maker Parties or Mini Maker Faires that bring hundreds or thousands of families out to experience learning innovation in action. Awards and contests recognize excellence among the educators and innovators who make up the network. They also recognize the students who have been empowered and inspired by the innovative learning experiences offered by network members. Submit nominations and letters of recommendation for network members on applications that will garner national recognition for the member and the network. Thoughtful advertising and marketing strategies build the identity of the network among broader audiences who may never choose to participate in network activities, but nonetheless stand to benefit. Radio underwriting, television PSAs, digital banners, and bus shelter advertising — as well as the physical distribution of marketing materials in public places and at events — are all effective means to increasing awareness of the network and its learning innovations among those ultimately served: the children, youth, and families in your community. Showcase Network Innovations: Organize interactive exhibits that showcase exemplary network projects and programs at public events like arts fairs, summer fests, holiday events, and other gathering that attract large numbers of children, youth, and families so that more people can have personal hands-on experiences with learning innovation. Celebrate Accomplishments: Recognize excellence among network members and celebrate the work of young people involved in network programs by hosting new or partnering with established events where awards and prizes can be given to elevate the best of the network and inspire others to achieve similar results. Market the Network: Establish a presence for the network in the local media market by purchasing advertising placements and underwriting messages such as PSAs on local television and radio, print and digital advertising in local publications, and distributing market materials through street teams. This is the fourth of six chapters of the Remake Learning Playbook, an ambitious effort to open source the “project code” for learning innovation undertaken by Pittsburgh’s Remake Learning Network. We’re eager for your feedback! We’ve released the Playbook on Medium so readers can share feedback and help inform the field. Please add comments, notes, suggestions, and questions throughout these chapters to help us make the Playbook as useful as possible. http://RemakeLearning.org reports the happenings of the Remake Learning Network, 200+ organizations collaborating to reimagine learning in Pittsburgh.